Today I will be reviewing a couple of the Animal Bites books published by Animal Planet. First some quick stats: both of these books are by Laaren Brown. Both are 80 pages long, including all the backmatter. Both are nice big books, measuring just over 8 inches wide and 11 inches high. Now, why do I mention how big they are? It's because my favorite thing about these books was the large photo illustrations. Some charts and collages are included in the book, but I'd say the average page has a nice big photo of an animal on it, and other photos and facts spread around the page. My least favorite thing about these books would have to be that I felt they were kind of scattered. What I mean is they contained lots of interesting facts, but I didn't feel like I became more of an expert by reading these books. Obviously these are non-narrative books. So it's unfair for me to say that they didn't engage me in a story. But I also feel like they weren't structured in a way that I could even remember what I had read. I dug deeper into this feeling, because I really wanted to like these books! They are beautiful, and I received a copy of each one from the publisher, in exchange for an honest review. Here's what bothered me, that I could put my finger on. I found the page headings to be remarkably unhelpful. "Doctor in the house" is the heading for the page about powder blue surgeonfish. "Letting off steam" heads a page about Hydrothermal vents. It seems to me that English idioms are serving where descriptive titles would serve better. 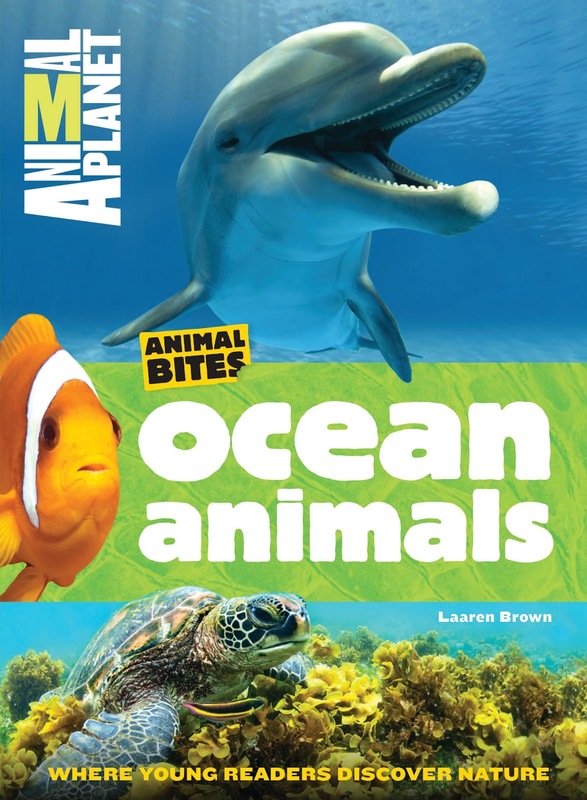 A particularly ambiguous sidebar in the ocean animals book annoyed me. It poses the question, "Bottom-dwelling bud?" next to an anglerfish, and has check boxes for yes and no. No is marked. I was confused. Anglerfish are definitely bottom dwellers. I read the explanation to the side, "An anglerfish may look alluring, but it's just trying to find some food to eat." I didn't really know what to make of this. Apparently the question being posed was not, "Is this a bottom dwelling animal?" but "Would this animal make a good friend for you?" And that seems like definitely the less useful question to go after. Why are we even bothering with that question? There are thousands of varieties of fish and ocean creatures. Some look cool, some look weird and some look just a little scary. Hmm. So when I look at these pictures, am I supposed to be classifying them as either weird, cool or scary? That seems like a really subjective and pretty pointless exercise. This text doesn't draw my attention to anything specific about the pictures—it doesn't encourage me to closer observation. This text doesn't add anything to my knowledge about these pictures—I don't feel any more educated than I was before. I'm guessing that a Dumbo Octopus is significantly larger than a Fringeback Nudibranch. But I don't know that, and they're both presented to me in a 2.5 inch square image. Who would I recommend these books to? I would recommend them to families that mostly just want good, big pictures of animals. There were some really cool and interesting pictures in them. I would not recommend these books for their writing. 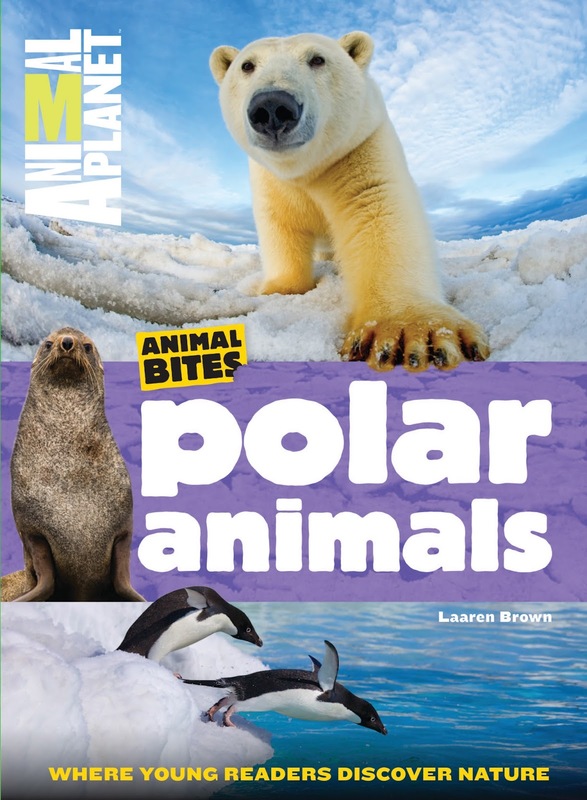 I confess (and you can probably tell from my review above) that I just enjoyed the pictures in the polar animals book and didn't look too closely at the words, once I could see they were the same caliber. What other non-fiction books do I recommend? 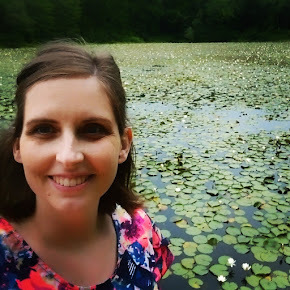 Check out the narrative non-fiction roundup I did back in March. Also, check out National Geographic Readers. Levi likes the National Geographic Kids series a lot, and has decided to collect them. They're definitely simpler, shorter (32 pages) and smaller (9''x5'') than the Animal Planet books, but I prefer them. Do your kids get picky about the non-fiction they read? What are the favorite animal books in your house?